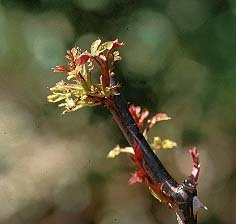 Blind Growth can be caused by insufficient light, chemical residues, insect and mite pests, fungal diseases, and other factors. 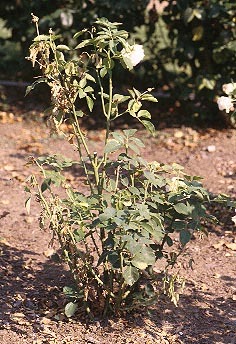 Many gardeners use Round Up herbicide around the rose beds, too close to the roses. 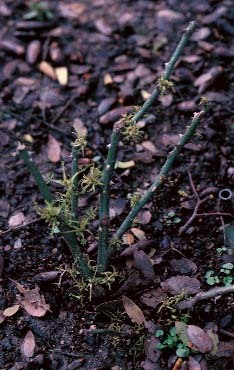 This is what happens to the roses. 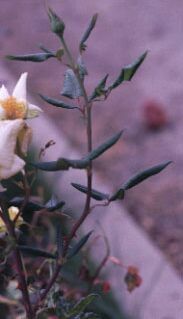 In some of these cases the application occurred during the winter months when there is no foliage but as the roses leaf out, the distinctive damaged foliage shows up. 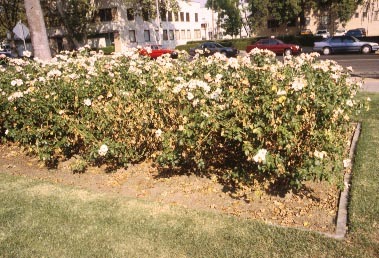 This is a recent example of a summer application of a combination of pesticides at a local public garden.Many of the roses in the rose beds were severely affected. 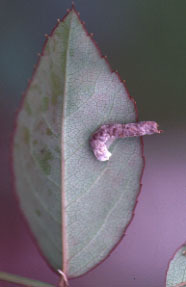 The damage lated for several months. Paint Residue from painting the exterior part of the house. 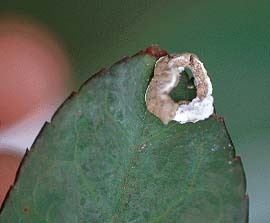 This is residue dropped by Hawaiian geckos(?) 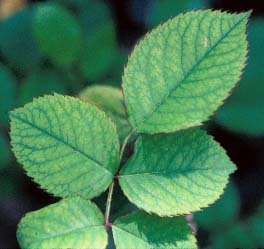 on rose foliage. Their art can be very intriguing as it reminds me of the UFO crop circles. 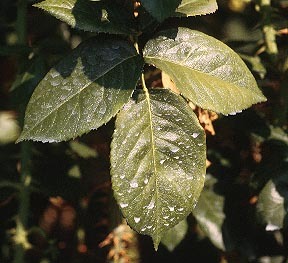 Inadequate watering of plants, especially in potted roses. 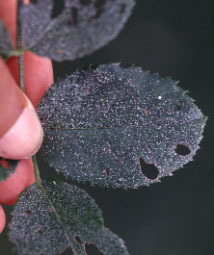 Iron deficiciencies can cause pale foliage. 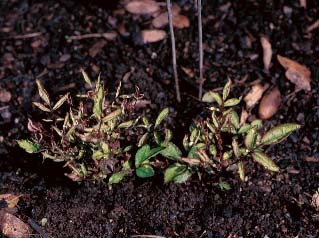 Adjusting the pH of the soil may solve this problem. We usually add a dose of Iron Chelate instead. 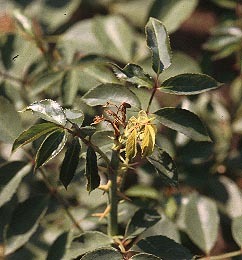 Vegetative growth in blooms are probably genetic in origin. 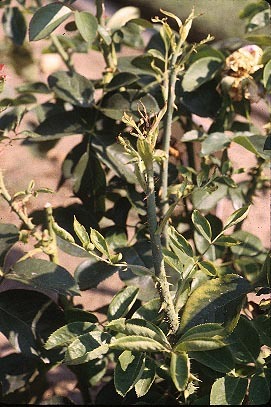 It is a common misconception that it is caused by too much fertilizer. Dog and cat urine is like concentrated fertilizers. They cause very distinctive burns, at about knee level ......... of a cat/dog. Human urine works the same way. 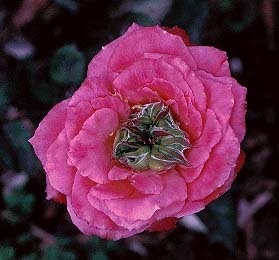 Please avoid the Jerry Baker approach to fertilizing the roses and use the bathroom instead.